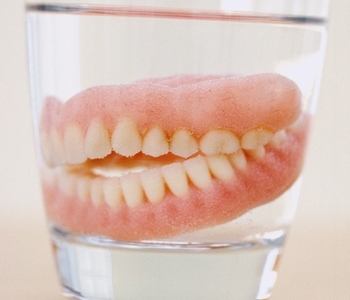 Many people in Marietta, GA have preconceived notions about dentures. They remember the set of false teeth their older relatives wore, and how fake they appeared. When we recommend dentures, patients often worry about them moving around or falling out, and the limitations on food they will now have. There is good news. In recent decades, removable dentures have improved significantly, making them an excellent solution to missing teeth. Today, removable dentures have an improved fit, which gives patients confidence when eating and speaking. Dentures are also more comfortable, which eliminates sore sports that many patients have heard about. At Thirty Two Dental, our team has been helping patients find the most effective solution for their missing teeth for many years. Our training and experience allows us to help patients decide which restoration will best fit their needs and desires. Whether patients opt for removable dentures or implants, we utilize state of the art technology, years of experience, and an artistic touch to ensure patients leave happy. We offer solutions that fit a wide variety of needs, lifestyles, and budgets. When considering removable dentures, it’s important to understand that there can be an adjustment period. Patients will need to get used to the dentures and retrain the muscles to work in sync with the new appliance. In some cases, minor adjustments will need to be made to ensure a snug and comfortable fit. Once you decide to go with removable dentures, maintaining proper oral health will need to become a priority. By keeping the mouth healthy and clean. and properly cleaning the dentures, you can help extend their longevity. We will provide information on how to properly care for your mouth with dentures. If you are in the Marietta, GA area, call us at (770) 423-1132 today to schedule an appointment.